Make the most of your first time on Gozo! Welcome to the island of tranquillity! Here you will find an island rich in history, culture and heritage and home to some of the oldest structures in the world. Book a direct airport transfer for your arrival and departure. This will rest your mind that you will arrive at your final destination on time and with no difficulties. 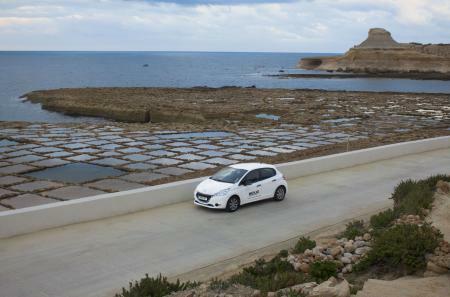 An alternative way to travel to Gozo is by having a car delivered to the airport. This is not recommended by us as the Maltese road system may be complicated for a first-time visitor and the road from the airport can be a tiring one. Moreover, the vehicle ferry ticket is more expensive for tourists and you may experience problems in fitting all luggage in the car. 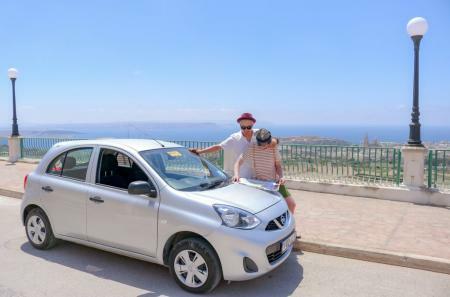 Have a car delivered to your accommodation in Gozo. Car hire is a must for Gozo and many visitors who don`t pre-book a car end up booking one during their stay at higher rates. Booking early saves money. The Gozitan road system is much easier to travel around. Book a boat trip around Gozo and Comino. If weather permits, this will give you a completely different view of the islands. Boat trips can be booked with Mayjo as well. If you are visiting in Summer, experience one of the popular local feasts on the island which occur every weekend. The best time to visit the island is usually during Spring and Autumn when the weather is warm but not too hot and Gozo's landscape is most green. Recommendations on where to stay on Gozo. We can also book the accommodation for you. Assistance in all your travel requirements. Contact us by email for this offer and will you will receive a discount code + reduced rates on the tour and direct transfers! Please provide your arrival and departure flight details, number of persons and the dates you require the car rental.